When it comes to skin care I am trying so hard to up my game from trying new and exciting facial cleansers, facial brushes, moisturisers and more. I want my skin to look and feel the best it can. Recently I was sent this Sensse Deep Pore Cleanser to try out, one word, FANTASTIC!! So I have been using this Deep pore cleanser for almost two week now and the difference I have seen is beyond amazing. I have been using it every other day to really give my face a good clean but I think I'll start using it about 2/3 times a week as I feel my skin has had a right good clean and now I just have to keep on top of it. The recommended usage of this is 2 to 3 times a week for 3 minutes each time. "PERFECT PORE CLEANER - A gentle yet powerful cleanser that removes pore clogging dead skin cells, excess oil, and other impurities from your face and nose. BLACKHEAD REMOVER - Strong suction gently lifts away blackheads and acne to give you clear, smooth skin. 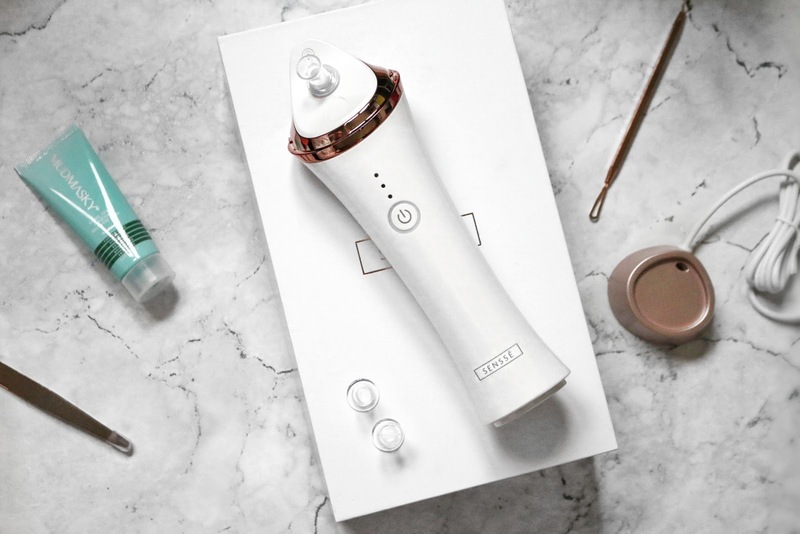 DESIGNED FOR YOU - It comes with four different nozzle attachments and three intensity levels so you can avoid bruising and tailor the pore cleanser to your unique skincare needs. EASY TO USE ANYWHERE - Water resistant so you can use it in the shower or bath, it also features an auto-shutoff switch to save battery life. 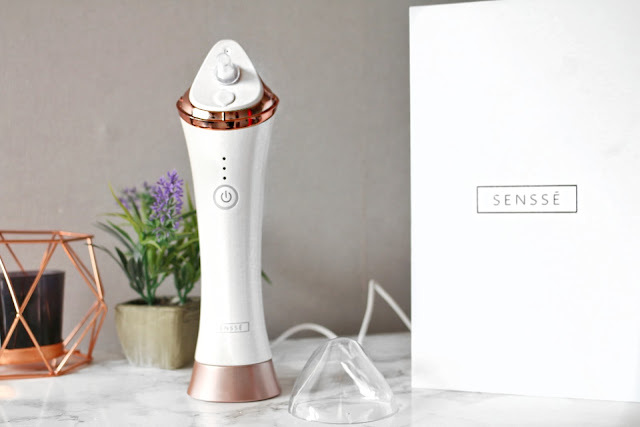 60 DAY MONEY BACK GUARANTEE - Your SENSSE Deep Pore Suction Cleaner comes backed by a 60 day money back satisfaction guarantee and 2 year manufacturer's warranty (subject to registration.)" 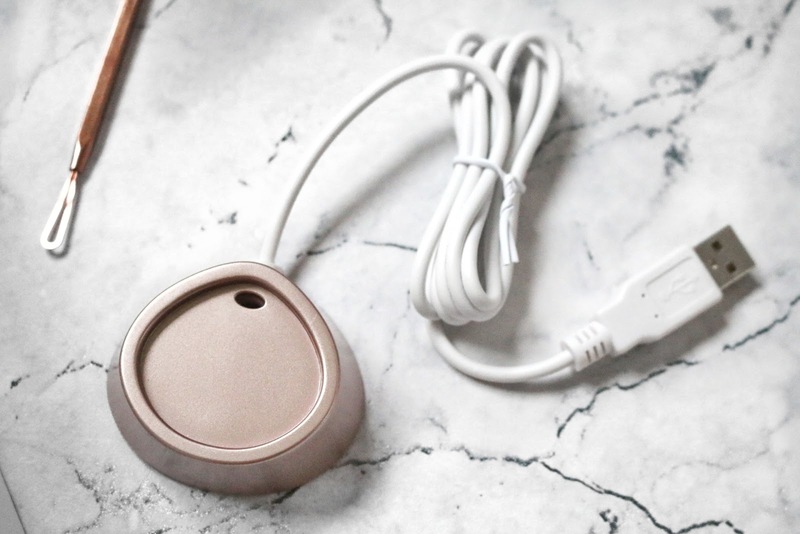 With this product you get the charging unit which has a USB point that can be used in your laptop/computer or with a USB compatible plug. You also get 3 different nozzle attachments (I Know it say's 4 above withing the information from their product listing but you only get 3, The booklet you get tells you all about it) There is a small suction head which you should use for sensitive and delicate areas. A Big suction head which you can use for stronger suction on larger areas and then a Black head attachment which you would use to remove black or white heads. 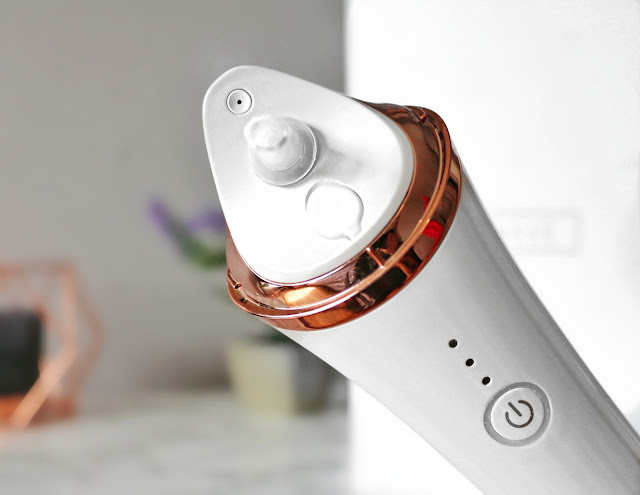 On the Pore Cleaner there is also a mist nozzle built in (I think this is what they mean by 4 attachments) which sprays out water onto your face to help remove the dirt more effectively. When it comes to suction intensity levels you have three, Low Speed which is automatically activated when you turn the Pore Cleaner on. Medium speed becomes active after you press the power button again after it has been switched on and the High speed will become active if you press the power button again. There are three LED lights which will indicate which speed is activated. Before using this it tells you to rinse your face and cleanse with warm water so I do my normal cleansing routine with my face wash and magnitone then I dry me face and use this product. When I use this I mostly use suction setting Medium or high as I feel that works best with my skin and I will use all three suction heads (Not in the same use but on different days) It really depends on how my skin is looking and what I'm wanting to achieve. When using this pore cleanser I find that it really helps to rid my face of more stubborn dirt that's trapped in my pores, I always cleanse my face but sometimes that isn't enough. Since using this pore Cleanser I have noticed a big difference in my chin and around my nose area, although I don't suffer with black heads as much I do tend to have clogged pores more than I would like. 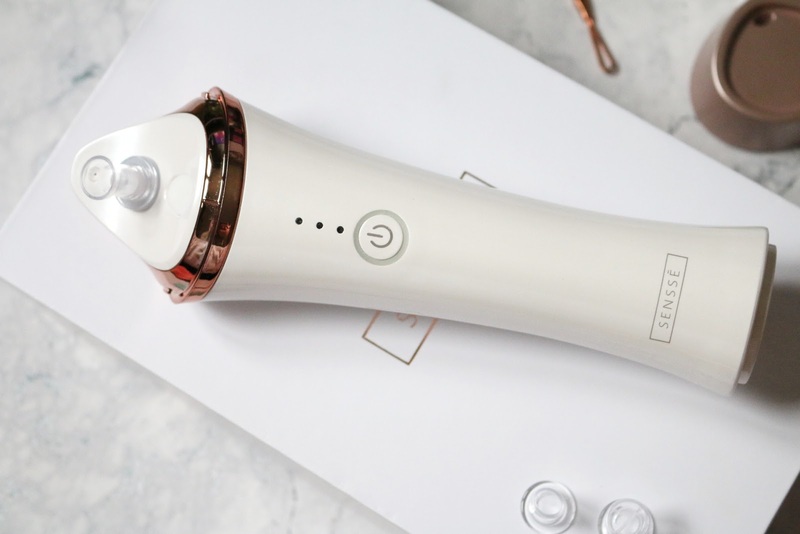 This gadget has really been a saving grace as I can see a big difference in how my skin looks plus my make up will sit on my face a whole lot better! This has been the perfect product to come into my skincare routine, it's super handy and I love just giving my face a good pampering. I have a face sauna in the house which I tend to use once or twice a week then I will cleanse my skin again and use the pore cleaner, I found that this can really help me achieve a deep clean as it's opening the pores so I would suggest you have a look into getting one of them as well if you don't already own one, they are relatively cheap on amazon and when paired with this Pore Cleanser you have the dream team. All in all I have loved using this product, my face is looking better and I feel so much more confident when I don't wear make up. My pores look clean and are no longer clogged in some areas. It's been really easy to use and it holds charge really well. I would really recommend this to anyone who needs some deep pore cleaning. Fancy Winning yourself one of these plus a Blackhead Remover? 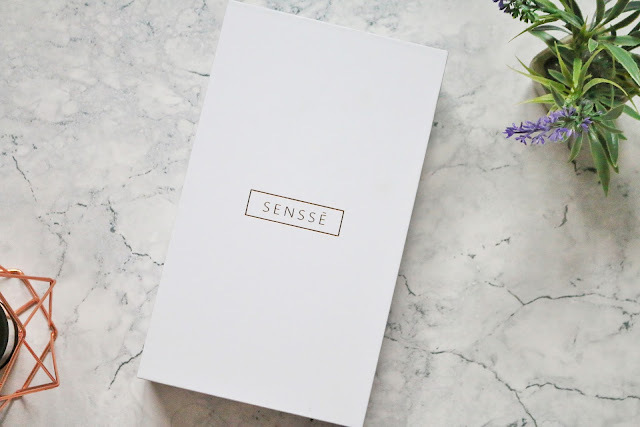 SENSSE has set up a giveaway for me to bring to all you lovely readers.Ends 20th July. Please note that you should NOT use this product directly on any Chapped, Swollen or inflamed areas on your face or if you suffer from zskin diseases, irritations or are taking steroid based medication and I would recommend that if you have some areas of sensitive skin that you use the lowest suction as you may end up left feeling sore/face being red. Thank you for entering 🖤🖤 good luck! I think my sister would love this. Sounds like it has some great advantages. Love this post! You have really made me intrigued to try this out! I often suffer from some stubborn blackheads and this sounds perfect! Never heard of this I have to try it out. This is exactly the device I need in my life. Recently my skin has been SO bad and my usual skincare routine just isn't enough at the moment, this would give me a good helping hand I'm sure! I've entered the giveaway so fingers crossed for me! It's a really great addition to the skin care routine! I have seriously loved using this! this sounds great! I love the idea of the blackhead remover attachment I have a few stubborn ones which just wont shift! I've never used one of these cleanser machines but I'm so intrigued in them! Thanks so much for sharing this review, Jordanne! I am always sceptical about products such as this as I'm never sure if they're actually worth the money, but it's great to hear that you had such a positive experience! Your photographs are beautiful as always! This looks amazing! I have blackheads both on my nose and my chin and they are the two worst areas for spots on my face so this would work really well for me. I entered the giveaway as well so fingers crossed! OOOh I so want to try it out! Hopefully I can find it somewhere since I can't find it on Amazon. This product sounds like a godsend! I suffer with my pores so bad so I really want this!